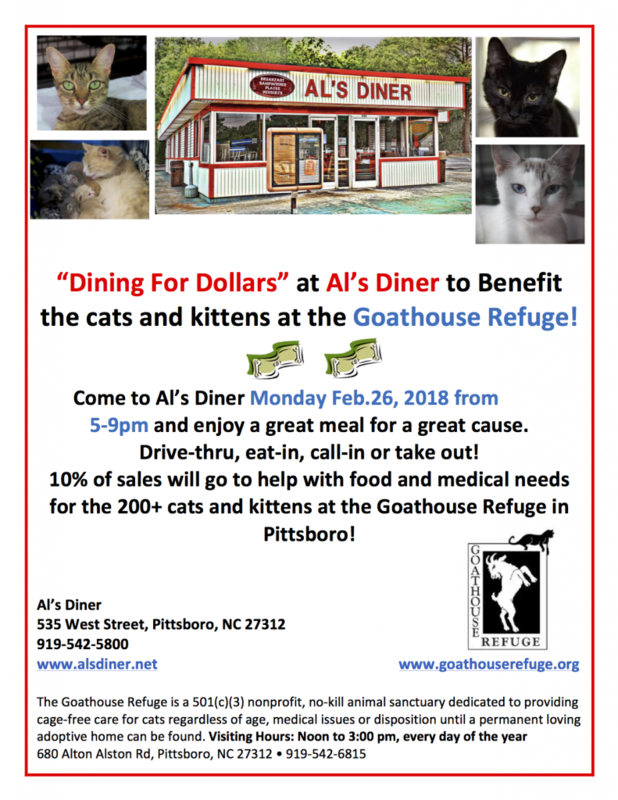 Coming up on Monday, February 26, get ready for a great meal and a chance to support the Goathouse Refuge! 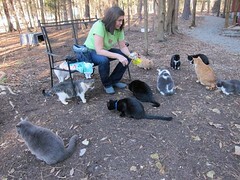 Al’s Diner will donate 10% of all take-out, drive-through, and dine-in sales between 5 and 9pm on the 26th to the Refuge. Come out and show your support for our cats and for our wonderful local businesses. See you there! « Half-Off Adoption Fees all Month!